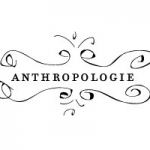 Anthropologie is a retail chain stores in the USA founded in the year 1992 by Richard Hayne who is currently the president of the Urban Outfitters Inc. (OUI). It is a subsidiary of the OUI and it is more focused on the women's side. It sells women clothing, accessories, gifts, decorative items, gifts and home furnishings. Anthropologie uses a marketing technique where it focuses more on selling a lifestyle rather than the brand. The company headquarters are in Philadelphia, USA and currently it is operating over 147 stores in the USA and other international stores in Canada and the United Kingdom. It also ships goods to over 180 countries through its website. There are currently 2 consumer reviews about Anthropologie available. Share your review. Complaint: I have been receiving e-mail receipts for items bought in your Louisiana store where I have never been. (I live in Canada). I called the store and informed them that there had been a mistake, this receipt was not meant for me as I have never bought anything in your store. After the second receipt, I telephoned again and was told I must have the same name and e-mail address (??) as one of their customers and they promised to remove me. After the 3rd e-mailed receipt I called again and this time asked to speak to the manager (Rebecca) who promised to straighten this all out. I also e-mailed. Now I have received another receipt! So, I am receiving what I don't want to receive and one of your presumably valued customers is not receiving what she wants to receive. I want someone at Anthropologie to take responsibility and fix this. PLEASE! I have bought many items from Anthropologie in the past and have not had any issues. But, this time I ordered online because the blouses I wanted were not in the stores. In the past when this happen i was not charged for shipping. Well, this time the woman I talked to absolutely would not waive the shipping charges even though the purchase would have been over $300! In fact, she was nasty and insisted that even if she could she wouldn't because she didn't know how. This was late on a Sunday so I figured it must be a pt employee so I called back this morning. I was told they could absolutely waive the shipping charge but, the one blouse I wanted the most was now sold out. They said the website was just updated. Needless to say I cancelled the whole order and am very upset. Please take a note that you are about to post a public review about Anthropologie corporate office on CorporateOffice.com. This review will be public, so please do not post any of your personal information on this website. If you would like to contact the corporate offices of Anthropologie, please use their contact information such as their phone number, website, and address listed above to contact them. However, sometimes staff from Anthropologie headquarters do read the reviews on this website.